DESCRIPTION: They have a wingspan of 7.1-7.9 in. and weigh around 0.3-0.6 oz. 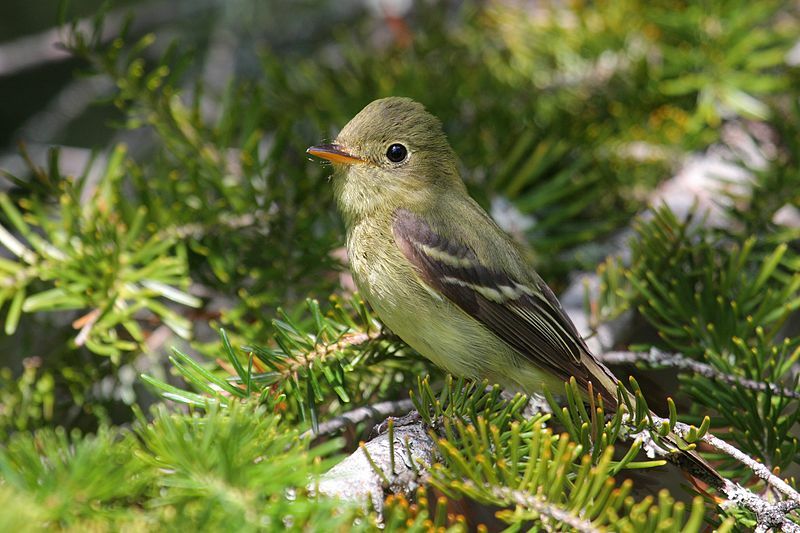 HABITAT: Yellow-Bellied Flycatchers live in coniferous forests and swamplands. DIET: They eat insects and sometimes fruit. NOTES: They are odd in the sense that they build their nests on the ground as opposed to in a tree. Their calls are a “tu-wee” and a “che-lek.” They are protected on the US Migratory Bird lists.